I guess I should have just waited until October. I'm inclined to wait til 10.11 comes out to upgrade to 10.10. That way I can just enjoy the fully mature release of it. Still no code for me, looks like they're sending them out piece meal? Mine wasn't emailed, but I could download it from the beta website after I signed in with my Apple ID. Apparently my code has already been redeemed??? 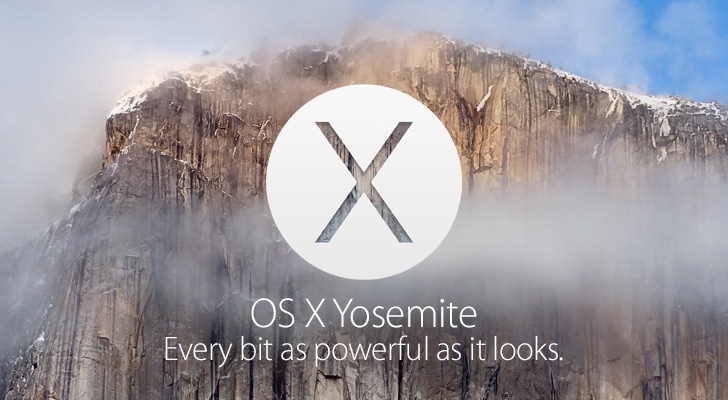 After you install the OS X Yosemite Beta, you will be asked whether you wish to upgrade your account to iCloud Drive. If you choose to upgrade your account, iCloud Documents and Data will be disabled on devices that are not running OS X Yosemite or iOS 8. iCloud Drive will be available only on other Macs using the OS X Yosemite Beta and iOS devices running iOS 8. If you want to continue using iCloud Documents and Data on devices with earlier versions of OS X and iOS, you should not upgrade your account to iCloud Drive. I finally am downloading Yosemite. How? Scroll down to the end of the page. Click Leave Program. Leave. Go to the beta program page. Click sign up. Enter your ID again. It will give you a new code. Copy and paste it manually into the AppStore. It will accept and start downloading. Oh, also, it will give you the "We'll be back page" again and again. Just hit reload when that happens. Is it Risky to download this if I only have one mac to try it out on? Nah...it's a Beta, so it's 100% stable. Because if you're gonna do an open public beta, you do an open public beta. This clearly was a broken process that has failed since they "opened" it. Have it work, or, don't have one at all. Very meta. People complaining that a beta test program isn't working right and not up to snuff. Seriously, it's just a beta. Surely you guys have more important things to do today. Just put it down and do something more productive and come back later when demand has be satiated a bit. I imagine w/ Apple pushing out up to 1m codes it's servers are getting quite slammed right now. Guys I downloaded and installed this in under an hour! I don't know what you guys are doing but you are doing it wrong! The new system looks beautiful!